Requirement: Get all site collections using PowerShell in SharePoint Online. How to get a list of site collections in SharePoint Online? 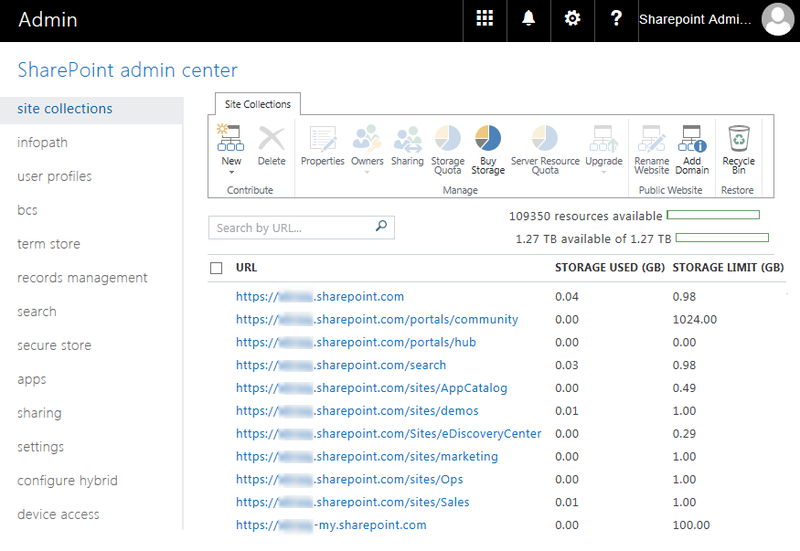 If you want to get a list of SharePoint online site collections, you can go to SharePoint admin center (Typically at: https://YOURCOMPANY-admin.sharepoint.com/_layouts/15/online/SiteCollections.aspx). This gets you the list of all site collections in SharePoint Online. Lets see the SharePoint online PowerShell to get all site collections. 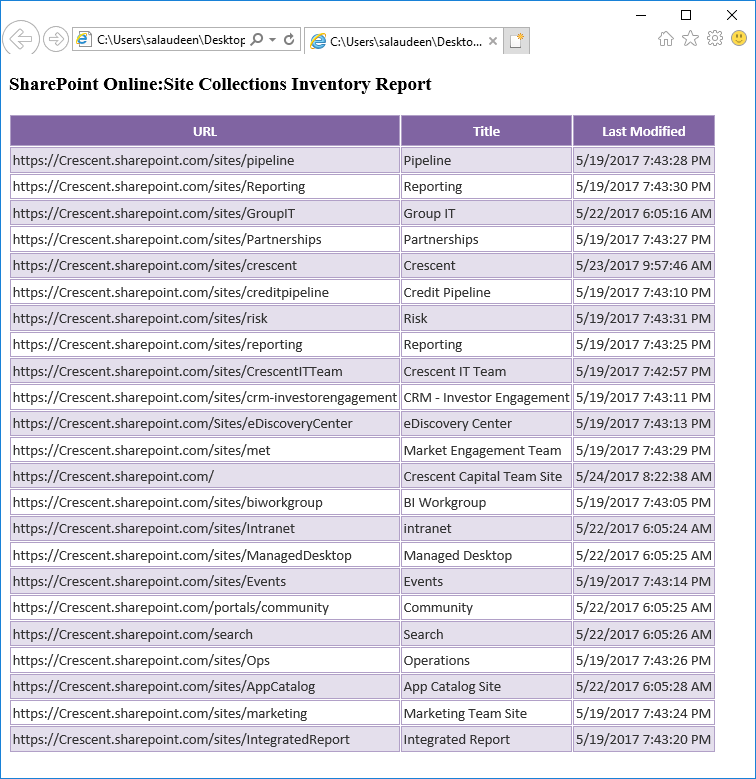 Site collections are the primary objects in SharePoint Online. Use the Get-SPOSite PowerShell cmdlet to get a list of all site collections in the tenant. Similar to On-Premises SharePoint Management Shell, You can also use "SharePoint Online Management Shell" to connect to Office 365, SharePoint online sites! $PreContentTag = "<h3> SharePoint Online: Site Collections Inventory Report </h3>"
Here is my another article on how to use PowerShell with SharePoint Online: How to Use PowerShell with SharePoint Online?